These groups are relatively new to Republicanism and many of them albeit attracted to the messages of the Traditional Republicans actually have little understanding of the Traditional Republican values. You may well ask: “What attracted them to the Republican Party?” I will attempt to answer this question. I will also describe the above five groups in more detail. 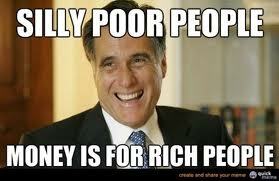 Vote Republican and you too can live like the rich! Each of these forces contributed in many ways to the movement of a large contingent of voters away from the Democratic Party and into the Republican Party. We will take each one of these forces individually and see how it has contributed to the popularity of the Republican Party. Ethnographic Changes in the USA population include the influx of many groups into the country who hold values that are seen as “foreign” to traditional USA values. It is one thing for new groups who are Christian to enter the country, but over the past fifty years or so, we have had a much more diverse array of ethnic groups from countries where Hinduism, Islam and Buddhism are the dominant religions. Many of these religions are poorly understood in the US and the practitioners are sometimes seen as promoting anti-US values. One example is the fear that many people in this country have for Sharia Law and the belief that Muslims want to overthrow the US Justice System and replace it with Sharia Law. Partly responsible for a growing intolerance in the USA has been the fact that projections show that “White” people will become a minority in the USA in thirty years. This gradual erosion of the White majority means that White people must accept a more diverse society in which White morals and values will be one among several other sets of morality and not always the dominant one. This is hard for many people to take as Whites have always been in the power seat in this country. Economic Changes in the US economy started to noticeably impact the standard of living for many voters following WW II. At first it was imperceptible. There had always been changes in the economy with ups and downs, recessions and the Great Depression following WW I. However, after WW II, we had a respite from anything that could be called “Global Economics.” With the demise of Germany and Japan and the economic hardships facing Great Britain, France and several other European countries, we had the economic ball field to ourselves. The USA economic boom was reflected in a period of rising incomes and relative prosperity. 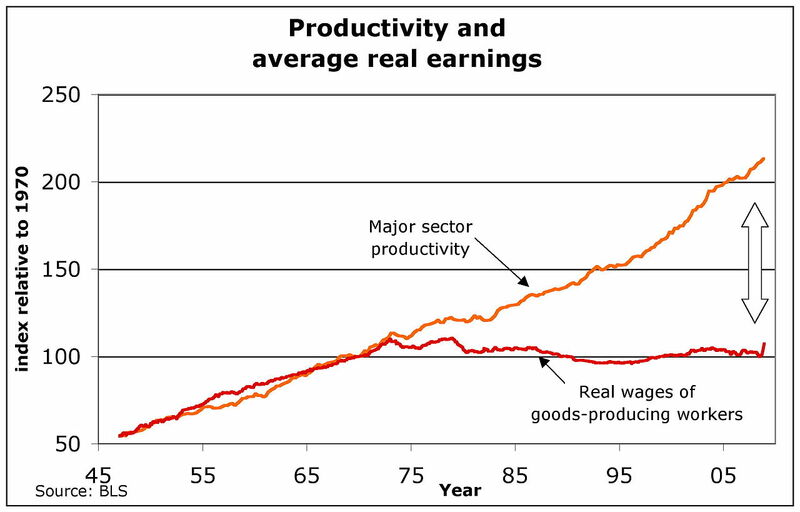 The attached chart shows that while USA productivity has continued to increase since 1945, real earnings have been either static or on the decline since the mid nineteen seventies. Whereas, we once had the playing field to ourselves, by the early 70’s the competition from other countries, particularly Japan, was beginning to erode the economic advantage we once had. By the late 80’s, wages in the USA were being impacted by the growth of industry in countries where wage rates were much lower. Foreign competition and increased levels of quality goods from other countries helped to erode the market dominance of traditional USA companies. These economic changes have fallen particularly hard on voters in the USA who worked in what might be called “transitional” industries. Agriculture transitioned to manufacturing during the mid-twentieth century. Manufacturing transitioned to service beginning in the seventies. Finally, service jobs have become increasingly high tech requiring computer skills and often advanced education and training. People in the “Blue Collar” industries cannot be trained fast enough to fill the jobs needed in the new industries. The recession in 2008 saw a loss of nearly 9,000, 000 jobs in the USA. Economists like to refer to these job losses as “creative destruction” or as an “economic correction.” The problem is that if you are the worker who does not have the skills to transition to a new job and you have a family to support, terms such as “Correction” do not help you to feed your family. 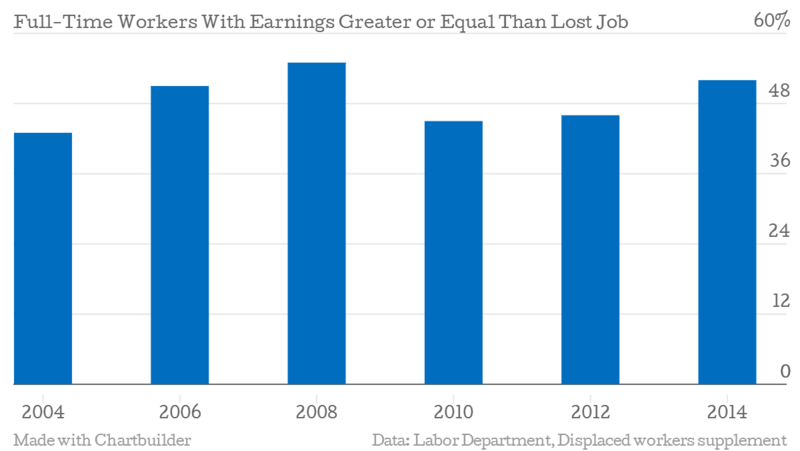 Recent statistics show that most of the jobs lost in the “Great Recession” have been regained. However, many of these new jobs are in lower paying industries or have gone to new workers with new skills in the labor force. The number of underemployed or unemployed people in the USA remains high and a source of major discontent. Our US system of reeducating workers is poor and in need of major overall. The Republican Party and its messages have attracted many of these economically struggling voters to their party. The Republican values of hard work, individual responsibility and economic self-sufficiency resonate well with a group bitter over their economic hardships and who view too many others as getting a free ride. The Pulling Forces are the messages that voters hear from the Republican Party and which reflect its traditional core values. However, as they play out in the media, these messages are largely nuances and alterations of the traditional core Republican values. The messages have now gone through a process of “Madison avenue marketing” to make them more alluring and seductive to their intended audience. It should come as no surprise that various voters are attracted to various messages. Some of course may be attracted to all of the Republican messages. Let us now look at each of the individual voting groups that I labeled above to see how the Pulling Forces (Traditional Republican Values) and the resulting messages have attracted each group. This group is largely but not exclusively White Male and under educated. They are generally blue collar workers and many of them had their jobs displaced by the rise of Global Economics with offshoring and outsourcing of their work. New technologies and robotics have also taken many of the jobs that these group once did. They have been attracted by several Republican messages. From gun control to the value of free enterprise, these low educated voters have bought into the idea that a Liberal Government is out to take their rights away and make it harder for them to earn a living. Many of them can rightfully blame the government (both Republicans and Democrats) for using their jobs to stoke the fires of Globalization. This group is attracted to the rhetoric common among Republicans for restraints on immigration and decreased government regulations. This group believes that if the USA government was not so big they would be much better off. They blame liberals for the laws promoting a Global economy and do not understand that education can help them. They often are willing to vote against any kind of education bill. Many of them were marginal students who were ill served by the education establishment in the past. They are no supporters of teachers, universities or increased funding for education. The Republican messages have amplified this anti-education theme to the point that Republicans are now deemed anti-science and anti-education and anti-immigration. It is also very easy for this group to buy into the myth that immigrants have stolen their jobs. They are lured by the type of messages that Trump has sent out castigating immigrants and particularly Muslims and Mexicans. This group is not only uninformed but they are also misinformed. They have already made up their minds on the basis of limited and misleading information. They are biased, prejudiced and xenophobic. The Republicans have had a bag of dirty tricks which probably grew out of Nixon’s escapades in the 70’s and have continued through such political shenanigans as the Swift Boat attacks against John Kerry, the manipulations in Florida with the voting ballots and the Karl Rove fiasco in Ohio. This group is ready prey for the type of propaganda tricks that the Republican Party now use to lie, distort the truth and defame their opponents. The Republicans seem to have thrown away any concept of ethics or morality when it comes to political elections. A squadron of Republican Talk show hosts from Mike Savage to Ann Coulter keep spewing out lies, misinformation, innuendos and calumnies against opponents whom they have no qualms about personally attacking. I would guess that many if not most of the “urban myths” that often dot the Internet have their genesis in some Republican think tank. Some other recent examples include the “Birther” movement in which President Obama was alleged to have been born in another country and the messages sent out decrying his support of Islamic terrorists because Obama himself is alleged to be a Muslim. 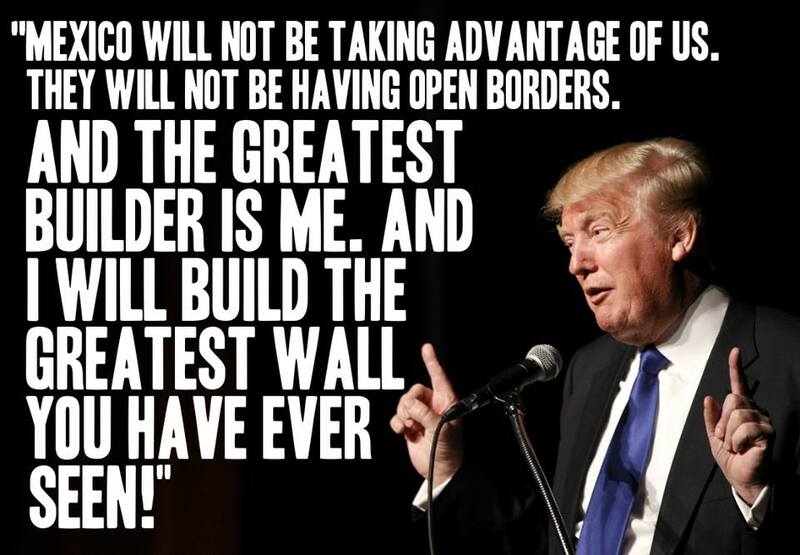 Those Ignorant Voters who subscribe to these lies and innuendos come to believe so strongly in them that there is no changing their minds. The USA has become increasingly materialistic. Evidence of this can be seen in new traditions like Black Friday, Designer Lifestyles, Reality Shows and the narcissistic values that seem to be replacing traditional moral and ethical values in the USA. A large contingent of students today are not concerned about how their chosen careers will help their country. They are more concerned with how much money they can make when they graduate. Greed has been on the increase in this country for many years now. Republicans (always the party of the rich) were well positioned to capitalize on a bloc of voters who do not want to share their wealth. Oaths for no new taxes. Oaths to roll back taxes. Oaths to block reforms in Welfare and oaths to block the creation of a more equitable health care system for citizens have become ubiquitous in the Republican Party. 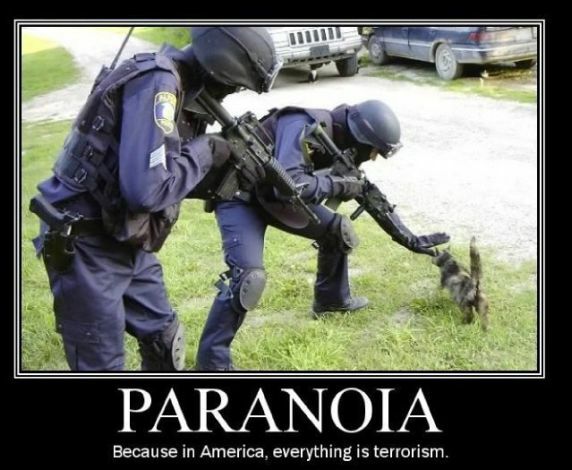 A large number of US citizens today are afraid. They are afraid of crime. They are afraid of immigrants. They are afraid of minorities and they are basically afraid of change. The Republican messages have helped to drive this fear even further into the psyche of people in this country. 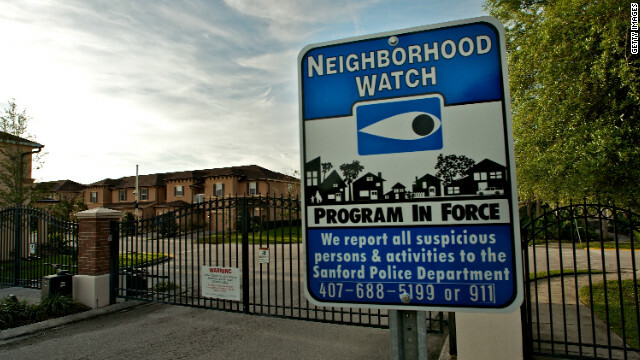 Everywhere you go today there are gated communities, security systems, concealed carry permits and people afraid to leave the perceived safety of their feudal like communities. Part of this fear has come from the aging of the population. As people get older, they get more concerned for safety and security. Part of the fear has come from constantly reading about “crime in the streets.” The news over reports and over emphasizes instances of crime and violence on a 24/7 daily basis. Finally, a large part of this fear comes from constantly hearing messages about the imminent attack of terrorists and others who are supposedly jealous of our lifestyle and want to destroy our country. “In a Pew Research Center poll conducted in September, 75 percent of registered voters surveyed said that “terrorism” was “very important” for their vote in the congressional elections. Also last month, a CBS News/New York Times poll found that 57 percent of Americans surveyed thought Obama has been too soft on ISIL.” — Republican ISIL fearmongering amplifies extremists’ message, experts say. These religious extremists are attracted to the family and religious values messages constantly being sent by the Republican Party. Anti-gay, pro-family, pro-god in the schools, anti-abortion, anti-women’s liberation messages are a theme of most Republican politicians today. The dramatic changes facing religion in the USA since 1900 has seen a decline in the traditional role of church and pulpit in family life. The increased number of working women, gay couples, divorces and abortions have fueled a desire on many conservatives to return to what they saw as the “good old days.” This actually means the good old days for white middle or white upper class heterosexual males. Not so good for women, minorities, disabled and poor people. This group of voters believes less in a strict separation between church and state than that which was proscribed by our Founding Fathers. They would put GOD back in the schools and in some cases declare the USA a “Christian Nation.” There are many of these voters who have little or no tolerance for anyone outside their own religions. 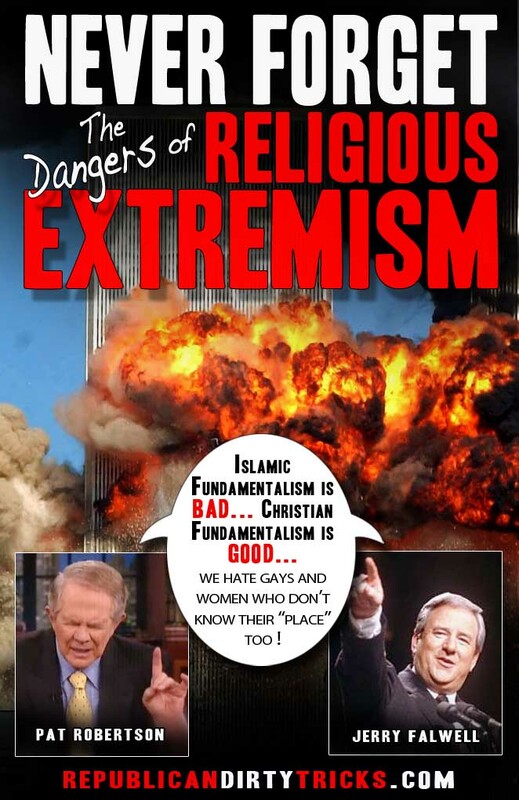 These so called Christians are characterized by a strong proclivity to support capital punishment, war as a first resort for political persuasion and the Ten Commandments as a foundation for a morality for all citizens. 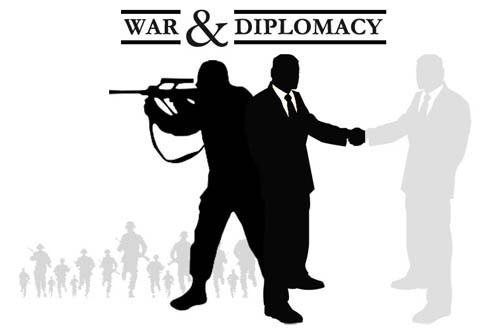 They seldom think of peace or diplomacy as a means of resolving disputes between nations. They do not see the hypocrisy between their contradictory messages of pro-life and pro-capital punishment. Furthermore, they are generally extremely literal and particularly narrow in their selection of Bible verses to support. See the following short video for further evidence of what I mean. Whither Goes the Republican Party? Where should the Republican Party Go? You tell me please. 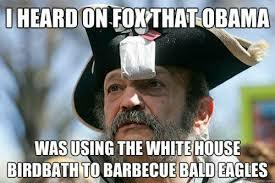 “But my revulsion at the Republicans doesn’t begin and end with Iraq and Benghazi. It’s spread to many other issues over the years. Frankly, the GOP increasingly looks like a party in the grip of some form of hyper-partisan madness that takes self-destructive delight in alienating everyone who isn’t a far-right ideologue. What else can explain the up-is-down, black-is-white, counterintuitive perversity of the stances Republicans increasingly take in response to national news and trends?” — I’m not a Democrat. I’m an anti-Republican. Money is playing an ever-greater role in American politics. The GOP response? Cheer on the effort of the Supreme Court’s Republican majority to increase the role of money in politics still further. We need to start off this discussion of Gandhi’s Seventh Social sin with a review of the definition of the term “Principle.” There are many who would argue that politics today has too many principles. Each side whether Democrat or Republican is firmly ensconced in their philosophical party principles which leave no room for discussion never mind negotiation. A firm conviction that we cannot negotiate on “principle” has led us to some of the worst political situations we have seen in the long history of the USA. We have always had “party” politics and there have always been back-room negotiations and political logrolling but never in our history have we seen the type of standoffs that seem to characterize Washington politics today. Could these political standoffs be caused by rigid adherence to Party Principles? Is Gandhi off-base with his Seventh Social Sin? Do we need less principle in politics and not more? Let us look at what the term “Principle” means by reviewing three different definitions or perspectives. Here are some examples for the third definition. These are: “Principles of Reason.” I add these so we can be more concrete in our discussion and less theoretical, if that is possible given the nature of the discussion. Nevertheless, perhaps these examples can help us think more clearly concerning the concept of principles. The principle of non-contradiction: the same thing cannot both be and not be at the same time and in the same respect. The same proposition cannot be both true and false. The principle of excluded middle: Either a thing is or it is not, there is no third possibility. The principle of the reason of being. Every being has a reason of its existence either in itself or in something else. The principle of finality: Every agent acts for an end. The principle of causality: Every effect has a cause. The principle of identity: Every being is that which it is. Each being is separated in its existence from other beings. We have two issues raised by Gandhi’s Seventh Social sin that I think we must answer. First, does politics really need principles? What purpose do they serve and why are they needed? Second, can you have too many principles in politics and how do we determine if that is the case? Politics Without Principles: Gandhi said those who firmly believe in nonviolence should never stand for elections, but they should elect representatives who are willing to understand and practice the philosophy. Gandhi said an elected representative is one on whom you have bestowed your power of attorney. Such a person should be allowed to wield authority only as long as s/he enjoys your confidence. When politicians indulge in power games, they act without principles. To remain in power at all cost is unethical. Gandhi said when politicians (or anyone else, for that matter) give up the pursuit of Truth they, or in the case of parties, would be doomed. Partisan politics, lobbying, bribing, and other forms of malpractice that are so rampant in politics today is also unprincipled. Politics has earned the reputation of being dirty. It is so because we made it dirty. We create power groups to lobby for our cause and are willing to do anything to achieve our goals. Not many among human beings have learned how to resist temptation, so who is to blame for the mess we find ourselves in? In this interpretation, Gandhi implies that the “Evil” of politics comes about because of the lack of ethics that characterizes much political gamesmanship. We would have to assume that the need for principles reflected by Gandhi’s ideas is connected to the need for a higher standard of behavior then what we most often see in our politicians. Thus, politicians are unprincipled and unethical if they engage in lobbying, power games and other manipulative endeavors. However, Gandhi does not clearly describe what an ethical political principle would be. We have to assume that most politics as practiced today would be considered as unprincipled by Gandhi. Yet he does not provide us with a clear set of ethical political principles. I conclude my answer to the question: Why are principles needed? as follows: To provide a clear ethical path for political behavior and to help guide politicians in their search for truth. For the second set of questions (see above) we are dealing with a different issue. If we accept that some political principles (unknown what they are) may be needed, then we must ask if too many of these principles might indeed be injurious to the political process. I have already noted that we are frustrated today with politicians who are taking oaths to standby their party principles and thus gridlocking the entire political process. Does this mean, we already have too many principles or do we have too many of the wrong principles? To answer this question, let us take as an example a key principle that the Republican Party has stood for and see how our system of political ethics might be played out using this principle as a guide. It is well known that many of our elected officials have taken an oath not to increase taxes under any conditions. The Norquist Pledge as it has been called was taken by “95% of Republican Congressional representatives.” Many would argue that this is a bedrock principle of the Republican Party. However, is it really a principle? Is it a fundamental truth? Looking at the three definitions for a principle that started this blog, does the Tax Pledge meet the requirements of a “Principle?” If so, what evidence is there to link truth to the assumed outcome that we expect to be attained by a rigid adherence to this principle? Will not increasing taxes always benefit the public good? Is it always best for the common people if taxes are decreased? Will we all benefit by having fewer taxes? A fundamental principle should have some fundamental truths or facts to support it otherwise what is the point of the principle? Either a principle is true or it is a hypothesis. If it is true, the results should be self-evident. If the principle is merely a hypothesis, than good logic suggests that we should not be too certain of its validity until more evidence exists to either prove or disprove the principle. The logic of my argument so far seems to move me towards the suggestion that “Not allowing any tax increases” does not constitute a valid ethical principle. I see no evidence that the greater good is always served by this principle. Perhaps there are other party principles that might be less amenable to my critique since I simply selected one of the “principles” we hear most about and are most familiar with. No doubt “too many” of these so called “party” principles would wreak havoc with our political system. IN fact, we see this happening already. I suggest we should call these unsubstantiated or principles either as false principles or hypothetical principles. This would give more credibility to Gandhi’s Seventh Social sin. Unfortunately, it still does not answer the question as to what a set of Ethical Political Principles might look like. The following principles are one set that has some merit. It includes eight principles that were taken from a paper by John L. Perkins titled: Humanism and Morality. Non-maleficence: Do not harm yourself or other people. Beneficence: Help yourself and other people. Autonomy: Allow rational individuals to make free and informed choices. Justice: Treat people fairly: treat equals equally, unequal’s unequally. Utility: Maximize the ratio of benefits to harm for all people. Honesty: Do not lie, defraud, deceive or mislead. Privacy: Respect personal privacy and confidentiality. You can see from looking at these principles that our problem is still not solved. Some of these principles conflict with others and life is still not simple. The Principle of Fidelity suggests that the Norquist Pledgers are doing the right thing. However, you may also notice that this principle may be in conflict with one or more other principles on our list. For instance, what if allowing a tax increase actually maximizes the ratio of benefits to all people? Thus, the principle of keeping your Norquist Oath is in direct opposition to a principle that says to do no harm to others. Very confusing! Alas, life is never simple and no moral or ethical code can be found that does not have both contradictions and complexities that make conduct difficult. This latter fact makes a strong case for holding any principle as a hypothesis and not allowing ourselves to be overly strident in its interpretation. Moral guidance and moral principles to conduct politics with. The acceptance and recognition that they may be wrong and being too exclusive of other options is a recipe for ineffective government and politics. What do you think? Do our politicians need a moral code or set of principles? Do they already have too many principles? How strongly should they adhere to their principles? Should they be willing to compromise on these principles? Is not allowing a tax increase really a principle? Should they stand firm on this principle regardless of the outcomes? When should we be willing to compromise our own principles?